Dr.Kusuma earned a Bachelors degree in biology Emory University in Atlanta, Georgia. In addition to his biology degree, he also attended the Gouizetta School of Business at Emory University where he earned a Bachelors of Business Administration (B.B.A) with honors. After completion of his undergraduate studies he matriculated at the Medical college of Georgia in Augusta, Georgia. There he excelled in medicine and graduated with an M.D. degree at the top of his class with the prestigious AOA honor society. He then completed two years in General Surgery, including his internship at Vanderbilt University Medical Center in Nashville, Tennessee. He subsequently completed Otolaryngology/Head and Neck Surgery at the same institution. He was board certified in the field in 2005 by the American Board of Otolaryngology, an accredited board by the ABMS (American Board of Medical Specialities). He then pursued additional training for two years in Plastic and Reconstructive Surgery at the prestigious Cleveland Clinic Foundation, in Cleveland, Ohio. He completed his plastic and reconstructive training in 2006. He was board certified by the American Board of Plastic Surgery, an accredited board by ABMS (American Board of Medical Specialities) in 2007. He served as a Staff Surgeon in the Department of Plastic and Reconstructive Surgery at the Cleveland Clinic Foundation for the subsequent 4 years. 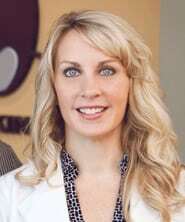 Erin Owoc, ARNP-C has been practicing cosmetic dermatology for the last 14 years in Florida. 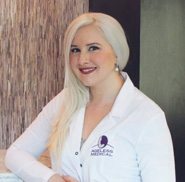 An accomplished medical professional, Erin continually enhances her knowledge and skills through advanced training in the latest aesthetic techniques and laser technology. 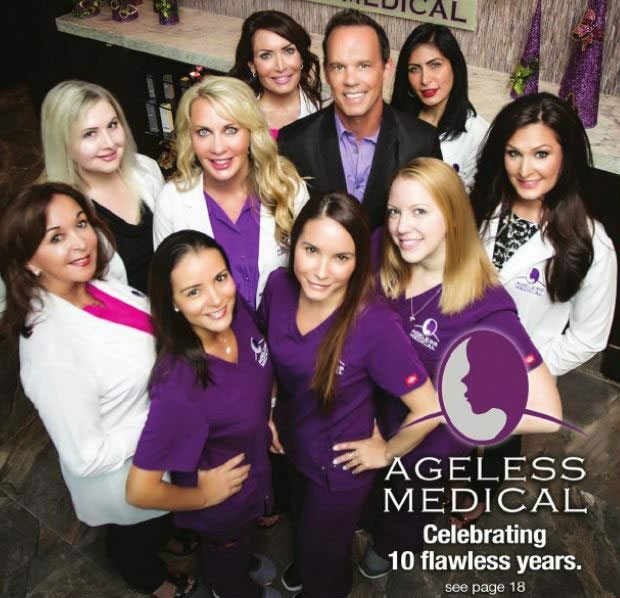 Ageless Medical is one of the few Botox® and Juvederm® Platinum Plus providers in South Florida. In addition, Erin is also a National Trainer for both Allergan Inc. (the makers of Botox® and Juvederm®) and Galderma Inc. (makers of Restylane®, Dysport® and Sculptra®) training South Florida’s Doctors and other Medical Practitioners on administering these products. Erin received her bachelor’s degree from the University of Florida and her master’s degree from the University of South Florida. Julie Lorenzo is a board certified Family Nurse Practitioner with extensive training in cosmetic procedures. She obtained a Bachelor of Science in Nursing from Nova Southeastern University, and a Master’s of Science in Nursing from the University of Miami, graduating with highest honors. She is certified through the American Nurses Credentialing Center (ANCC). Julie loves establishing positive relationships with her patients, giving them all the time they need during consultation while developing treatment plans specific to their desired outcomes. Her passion for the aesthetics field creates a thirst for seeking out and utilizing the most up to date education and techniques. Julie specializes in Dermal Fillers, Dysport/Botox, Platelet Rich Plasma (PRP), Spider Veins, IPL and Fractionated Laser Resurfacing. Lisa has been in the skincare industry for over 12 years as a Skincare and Laser Specialist. She has extensive experience in operating lasers for hair removal. Not only does Lisa treat patients here at Ageless Medical she also educates Laser Technicians seeking laser hair removal certification in South Florida. She also has extensive experience as an Aesthetician providing medical facials, peels and Hydrafacials. She is an Ultherapy Specialist and her experience also extends to operating Ematrix skin rejuvenation device as well as Liposonix for fat reduction. 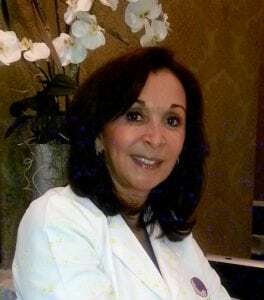 Gina has been in the skin care industry for over 20 years as an Aesthetician. She has extensive experience in medical facials, makeup artistry, chemical peels, microdermabrasion and HydraFacial. Gina is a specialist in permanent makeup for the face, as well as for the areola for breast cancer survivors after surgery. Gina is also certified in SkinPen (Micro Needling) and Reaction. 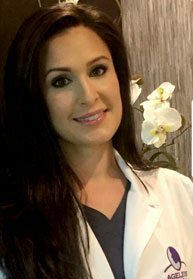 Lauren Thompson is joining the Ageless Medical family with more than a decade worth of experience in Medical Esthetics, encompassing a vast majority of medical grade skin care products, and medical treatments. She also has in depth knowledge in assisting physicians with Botox, Dermal Fillers, and handling any and all patient needs. Lauren obtained her Esthetics License at Pivot Point International in Evanston, Il, graduating in 2006. Following her Certification, she continued her education in medical skincare specializing in Acne, Rosacea and aging skin. Prior to finding a home at Ageless Medical, Lauren was employed at Bowe’s Dermatology in Miami, and Van Dam Dermatology in the Chicagoland area. With her well rounded approach to skin health and aesthetics, Lauren looks forward to meeting our patients here at Ageless Medical. Vic has been in the skincare industry for 14 years. Vic started his skincare career in product development as the founder of Ageless Research and creator of the skin supplement, Dermavio ™and the anti-aging secretagogue Ageless Growth. Victor also holds utility and design patents for his SYLA (Sleep Your Lines Away) invention – www.TheSYLA.com . The SYLA has helped over 3,000 clients diminish their sleep lines since 2015, all across the globe. As founder of Ageless Medical with Erin Owoc in 2006, they have helped over 6,000 patients look as young as they feel.